What’s for dinner? It’s the question I dread every single day. Some weeks I meal plan, other weeks I plan dinner an hour before I need to put it on the table. This week is one of those weeks that I plan last minute. 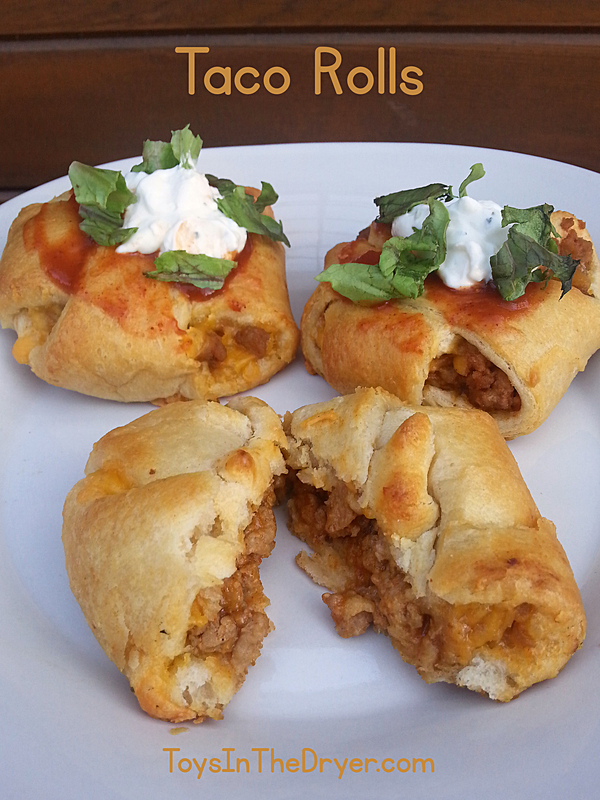 I came up with these taco rolls as I was staring at the contents of my refrigerator. I thought I was being cleaver with this recipe but it turns out taco rolls are not a new idea. As I was typing in keywords for this post, taco rolls popped up so I decided to Google them. Sure enough, someone came up with the idea before me. Oh well, I’m still going to give you my recipe because I’m pretty sure I’m not the only one who didn’t know about them. Plus, they are SUPER easy to make and my family LOVED them. 1) Brown the hamburger or turkey, drain the fat, and add the taco seasoning according to the directions on the package. 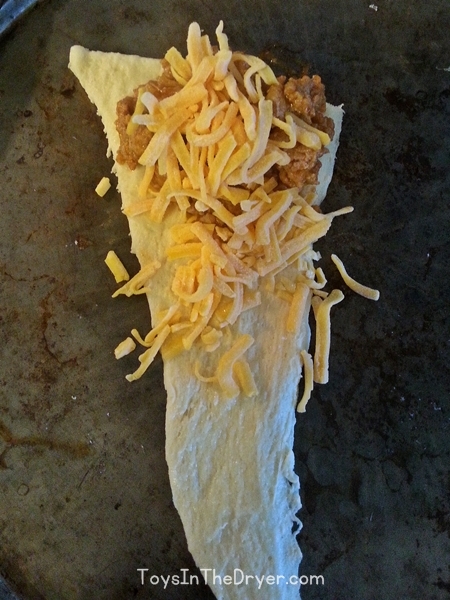 2) Unroll the crescent rolls and put a large spoonful of meat on the large end of the triangle. 3) Top the meat with cheddar cheese. 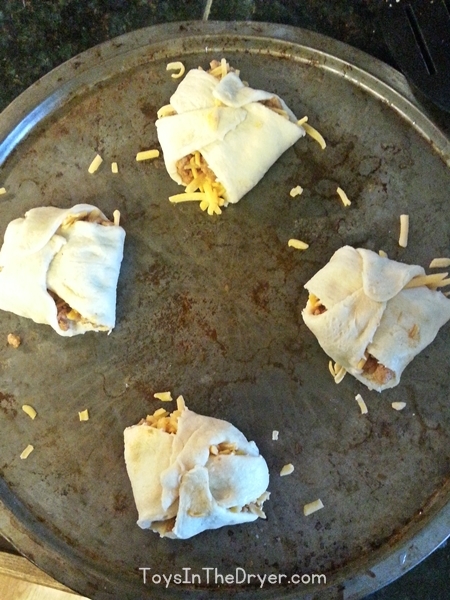 4) Roll up the crescent roll and fold the end under. 5) Fold up the other two edges. 6) Bake according to the directions on the crescent roll package. 7) Top with your favorite taco toppings and enjoy! The buttery flavor in the crescent rolls gave these taco rolls a great flavor and my family ate them right up. I’ll definitely be making these again! I love this idea. Crescent rolls and tacos are my favorite. I never thought about combining them.